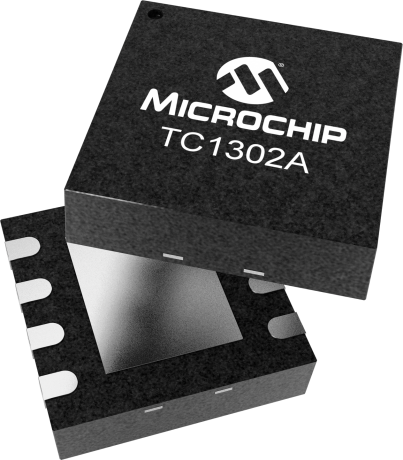 The TC1302A combines two Low Dropout (LDO) regulators into a single 8-pin MSOP or DFN package. Both regulator ouputs feature low dropout voltage, 104 mV @ 300 mA for Vout1, 150 mV @ 150 mA for Vout2, low quiescent current consumption, 58 µA each and a typical regulation accuracy of 0.5%. Several fixed-output voltage combinations are available. A reference bypass pin is available to further reduce output noise and improve the power supply rejection ratio of both LDOs.